Toyota is fulfilling one-third of Vanilla Ice’s edict by allowing us to collaborate with the release of the Toyota Collaborator, the newest tech powered by Google+ and based on its successful Hangouts. So what exactly is the Toyota Collaborator for? 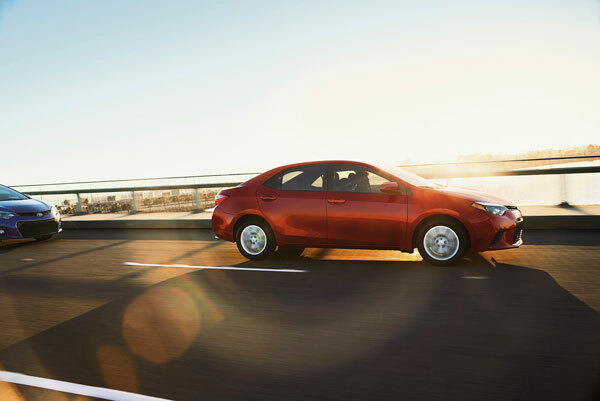 Currently, it’s only offered as a tool for shoppers customizing the 2014 Toyota Corolla but will eventually be available across the model lineup. This tool is geared toward families, friends, or businesses who are buying a car together and who need the input of everyone who will be driving it. Toyota recognizes that not everyone can comfortably crowd around a computer screen, and with busy work, school, and travel schedules, maybe not everyone will even be in the same room at the same time. 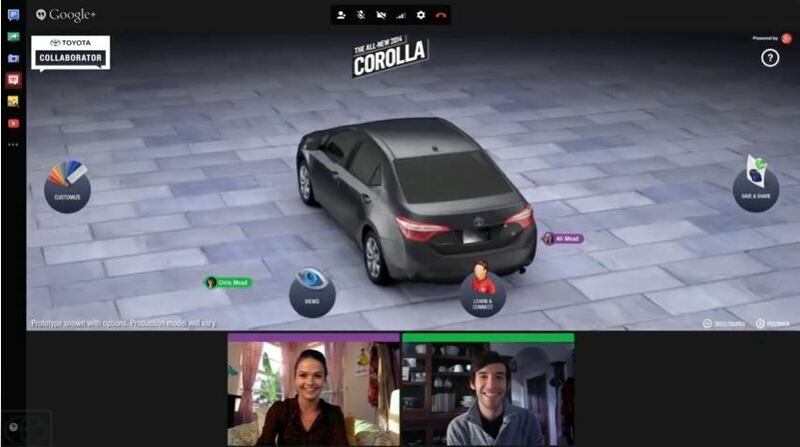 Using the familiar Hangout interface of Google+ but with the top half of the screen featuring the car customization, shoppers can comfortably collaborate on their future shared car from separate rooms, houses, states, countries, and even continents (Sorry, cross-planet collaboration not included). Collaborating shoppers will be able to discuss aspects such as bonus features, powertrains, and car colors via webcams and see their choices come to life before their very eyes. One really cool aspect of the Toyota Collaborator is the test drive feature. Using Street View maps, the program allows shoppers to take a virtual test drive in their model before deciding to purchase. And when they’ve made up their minds, the shoppers can conference a local dealership representative into the call to schedule real-world test drives at the dealership closest to the shoppers that carries the Corolla in its inventory. Now if Toyota could just help us stop and listen, we’d be all squared away.